Jonathan Bird wrote about the year-long Vancouver Consultation process for the national Faith Today magazine. Vancouver is rightly celebrated for being one of the most liveable urban regions in the world. Yet Vancouver’s very success has contributed to profound spiritual confusion and social dysfunction among its residents. The gospel has always fallen on rocky ground here in “Lotus Land,” where religion is a four letter word and spirituality is merely an optional accessory for a self-fashioned life in the cultural convergence zone between West and East. But fashioning a life here is immensely difficult. In this city of immigrants, where elementary schools have ESL rates as high as 65 percent and the majority of residents move every five years, civic leaders consider loneliness and the lack of social cohesion to be more devastating than the fast-rising cost of housing. Or at least they did until recently. The century-old joke that land speculation is the favourite blood sport of Vancouverites isn’t funny anymore. With offshore investors driving the composite benchmark price of all housing types in the metro area to $919,300 in October (over $1.5 million for a detached house), even secular newspaper columnists are openly wondering if the “resort municipality” of Vancouver is “losing its soul” as it empties of families and young people. In the face of Vancouver’s self-defeating success (the example of Babel might suggest all urban successes are necessarily self-defeating), God’s response is to call his people here to seek the shalom of our neighbourhoods and city (Jeremiah 29:7). God’s default missional strategy across the biblical record seems to be to place his people in the primary urban crossroads of the world as agents of his power to restore all things through Christ. If Vancouver now stands among the prime cities of our age, and if God has primed Christians of every description to labour effectively for its spiritual and social transformation, then what we learn to do here can have global impact. 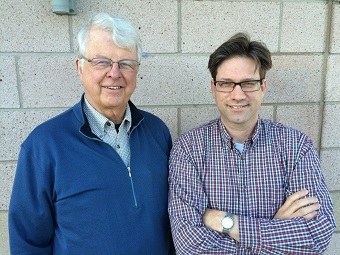 Veteran urban missiologist Ray Bakke with Jonathan Bird. “Vancouver used to be the back door to Great Britain, and now it’s the front door to Asia. I’m convinced it’s becoming an ideal laboratory for 21st century mission in, to and from cities,” says Ray Bakke, the 77 year old globetrotter widely regarded as one of the pioneers of contemporary urban missiology. • What is God doing in our neighbourhoods and ministries – where do we see signs of hope and deep flourishing? • What are the primary spiritual wounds, idols and injustices in our city? • How is the Holy Spirit prompting us to encourage, learn from and cooperate with each other as well as with people of goodwill so we become catalysts for peace and well-being? Bakke has assisted some 250 such consultations around the world, starting in the late 1970s when he was appointed the first large cities coordinator for the Lausanne Committee for World Evangelization. 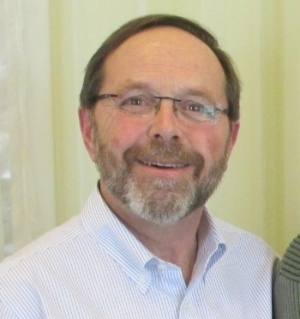 Glenn Smith has helped the church work for the good of Montreal for over 30 years. 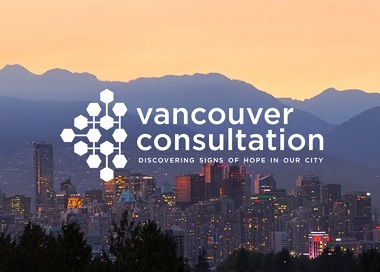 Joining Bakke in advising the Vancouver Consultation process is Glenn Smith, who studied under Bakke and is an expert on mission in Canadian metropolitan contexts as well as francophone cities around the world. In Montreal, Smith runs Christian Direction (Direction Chrétienne), one of our nation’s most robust faith-based agencies for collective urban impact. A core team of senior clergy, nonprofit and marketplace leaders provides oversight to co-facilitators Flyn Ritchie (Church for Vancouver) and me. Good theology is born from inductive study of Bible passages that proceeds to an understanding of the full sweep of the biblical story. Similarly, good urban missiology starts with an inductive reading of neighbourhoods that builds up to a comprehensive vision of the city. Consequently, we spent last summer and fall compiling a directory of all congregations and ministries in the city proper. We found 308 congregations and 124 parachurch ministries, one-third of which worship in a language other than English. We plotted these into a Google map and then wrote prayer guides (eg, ‘Vancouver neighbourhoods: Downtown’) to each of Vancouver’s 23 official neighbourhoods. 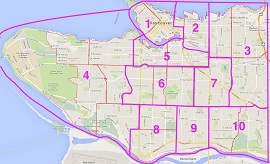 Then we launched the consultation publicly in mid-January by dividing the city into nine zones based on neighbourhood boundaries and demographics, conducting a focus group of pastors and non-profit leaders in each. Over six weeks, 137 leaders from 103 churches and parachurch organizations participated. We asked them to respond to the consultation’s first two questions. They identified an intriguingly wide assortment of signs of hope as well as a strong convergence of spiritual and social challenges. Their responses helped us tailor content for the remaining stages. 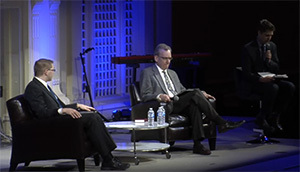 Brett Salkeld (left) and Jeff Greenman led the way in the Catholic-Evangelical Conversation. One of the signs of hope in Vancouver is the way the Holy Spirit is helping Catholics and Evangelicals find inspiration and insight in each other’s traditions. We held a free public panel discussion at independent charismatic Coastal Church on March 1 for people who wonder if it is possible to bridge the Evangelical-Catholic divide, and are curious about what difference that could make for their life of faith and the mission of Jesus in Metro Vancouver. The session featured Jeff Greenman, president of Regent College, Brett Salkeld of the Roman Catholic Archdiocese of Regina and Ray Bakke. Their lively and gracious two-hour conversation is available here. 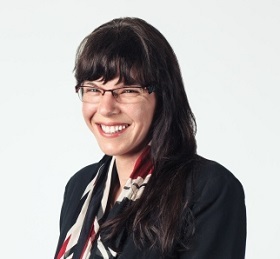 Vancouver city councillor Andrea Reimer will address the City Summit gathering November 24. The process will reach a watershed moment at a leaders’ City Summit November 24 – 25. We will present an “exegesis” of Vancouver for peer review, so to speak, using plenary speakers, presentations and site tours. That City Summit will end with sessions to answer the ultimate question of the consultation – in light of where we’re seeing God on the move in the face of challenges to our city’s shalom, what things does the Holy Spirit want us to do together that no congregation or ministry can accomplish alone? The consultation is a spiritual exercise regimen building up the body of Christ “for good works which God prepared beforehand to be our way of life” (Ephesians 2:10). In our highly secularized context, it is this way of life – cooperating in the mission of Jesus to bring healing to our neighbourhoods and the city as a whole – that will testify most appealingly to the truth and power of the gospel. The ultimate outcome will be three aspects of a single ongoing dynamic – life in the city will be measurably improved, congregations will be strengthened and the faithful will become more mature as new avenues of discipleship open up for serving the common good in the places where we live, work, play and worship. Jonathan Bird is executive director of CityGate Leadership Forum. This article is re-posted by permission. It is so great to see this coming together for Vancouver. Congratulations to Jonathan Bird for an incredible amount of work to see this happen. Trusting there will be much long-term fruit. I am looking forward to hearing how the Consultation event went and all that comes out of it for the good of Vancouver. One doesn’t have to look further than city-wide events like Passion or Prayer for the City or your local Bible Study Fellowship meeting to find one of those sought-after signs of hope and deep flourishing: it can be found in all the thriving local Asian immigrant churches across the city. I hope there were effective efforts made to involve their representatives in this year-long consultation? 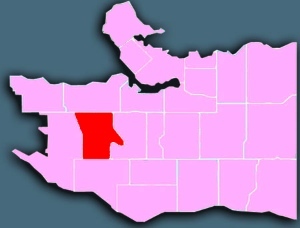 I moved from the Northeast of the US to Vancouver and everyone said there was no active church in Vancouver. That is totally false. I found several VERY vibrant and healthy churches and an active Christian community. 10th Church was literally one of the most healthy and nourishing churches I’ve ever been involved with. I think the earlier post was accurate in writing that the Asian churches in the city are very very healthy and this should be focused on, instead of the dying Anglo churches. There are great things happening in this city! I also feel that despite the death of the church in Canada, the fact that Canadians do not associate Christianity with far-right politics as they do in the USA, provides a breath of fresh air and gives the Canadian church more room to engage with society in healthy ways.